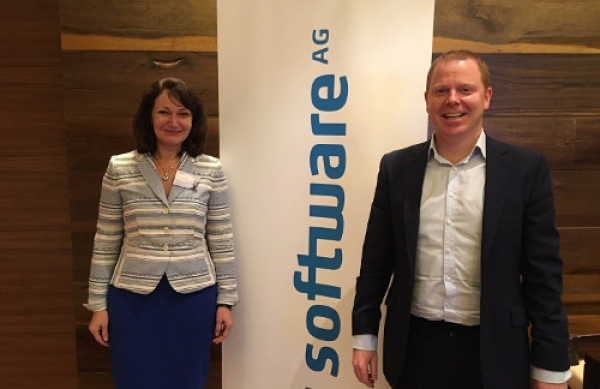 IAA: Tell me more about Software AG? Stanimira Koleva (SK): We have been in Asia for about 20 years. We started the business here around technology which was around one of the fastest transactional database products, and that has been pretty much the foundation of our business for a number of years. I think in the last 12 years or so we changed our strategy to diversify the portfolio and now we are the provider of a technology suite that we refer to as a digital business platform, which came about through a number of acquisitions and now strategies to essentially make sure that we integrate the different pieces of technology into a single suite and we follow also a combination of best in breed to best of suite. Why we think it the right time for a strategy like that is because, like the event we are running today, which is about how businesses digitise and how digitisation is going to change the face of the industries they are operating in. What the platform does is a number of important things in that digitisation of businesses starting from mapping, business strategy to IT strategy, and going through operations, around optimising and digitising processes. That would basically be the basis for automation and sustaining their operational improvements and then the ability to integrate different systems and largely in real-time. Real-time is very important in solutions. IAA: What do you think about Singapore’s Smart Nation? Eddie McDaid (EMD): I think Singapore has been at the forefront when it comes to Smart Cities. We see now that other nations are catching up with it. We see various states in the US, for example, have embarked on Smart City initiatives. We see some of the technology giants, like Cisco, who have Smart City initiatives which they have been developing products for. We are working with some of these vendors to provide some of the analytical capabilities you need, in order to take advantage of all this data that has been generated. When you think about Smart City projects, the scale of them is so fast, what you need is a distributed intelligence, rather than it being centralised. That concept is about pushing micro versions projects or micro versions of your capability out to the edge of your ecosystem. People talk about edge analytics, that is one example of that, and to do that effectively, you need to be able to store data at the edge, you need to be able to have algorithms that work out for this piece of data or an aggregation of several pieces of data is it anatomically relevant only at the edge or do I need to also, once I have enriched it through aggregation or some calculation, do I then need to pass it up as something to a more centralised data store where perhaps there is a richer and deeper set of analytics going on. IAA: Do you have any government contracts? SK: One are where we work with the government in Singapore is around process modelling, process automation, and enterprise architecture, so that has been under the banner of IDA and different agencies have adopted our methodology and our tools. IAA: Are there things that Singapore can do here that cannot be replicated elsewhere? EMD: When I talked about the umbrella terms Smart Cities that is exactly what other nations are doing, where Singapore is a Smart Nation. If you think about a country as vast as the US, where you have state government, federal government, and quite disparate organisations. For Singapore, I have to think there has to be an advantage because of its size and because of its early adopter status around all this is being to put this forward. SK: If you look at the history of Singapore as well, Singapore is an unprecedented success story of embarking on a new business model and unlocking value for the nation and for the country. Obviously the digitisation in building the digital economy and Smart Nation is all about growing value in terms of what that is going to contribute to the economy and the fact that it spins out new business models, and makes things more efficient is a direct contributor to that, and what I see Singapore being able to do probably much faster time to value, to benefit from new technologies and new approaches around digital, and also in a very large impact on industries and different parts of the economy and again the time could potentially be implemented before the country starts seeing added value out of it, is probably going to be much shorter and more efficiently done compared to a lot of other instances where things are done in a much bigger scale.